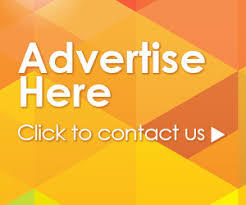 If there is one cheap way to advertise or promote your business, it has to be search engine optimization or SEO. What is the idea involved in SEO? Well, let me give you a concrete example for you to understand it more clearly. For instance, if you have a business that is far from urban places, you may still be able to promote and profit from it through an optimized website. In search engine optimization, you do not need to advertise on TV, radio or on newspapers and so it is much cheaper, but you can still gain popularity. SEO can be done in a lot of ways and some of them will be discussed further in this article. Nowadays, what business owners are fighting for is virtual presence. The more visible your business is in the major search engines, the more successful your business will be. Internet marketing all starts in a website that bears a description of a company as well as its products or services. Website owners or website developers exert quite an amount of effort, time and money in creating excellent contents and in ensuring ease of navigation. Many people think that a website without optimization can bring them success, but this is very close to impossible. Without your business listed on the search engine results page(SERPS), how can people possibly land on your website? There’s really no way you can generate traffic. If you optimize your website, you will not only be able to attract people, but you will also be able to efficiently tap your target market. If you still can’t understand what SEO means, let me explain it to you a lot further. SEO is basically the utilization of different techniques that can help boost a website in terms of search engine ranking. Search engine ranking is very important for every business owner as this is equivalent to popularity. If you rank 1st in Google, for instance, this means that Google thinks that your website is the best under your category, and this is something that each business is aiming for. It is true that keywords and keyword density are important techniques in SEO, but they are not enough to take you to a high rank in the search engines. There are other techniques that you have to perform like meta tags, website navigation and URL structuring. You might also want to create good and unique content, posting your link in forums, blogs and social networking sites, backlink building, and much more. Thomas Alling has been working online for close to 15 years and writes about internet marketing and how you can make money online with your website.